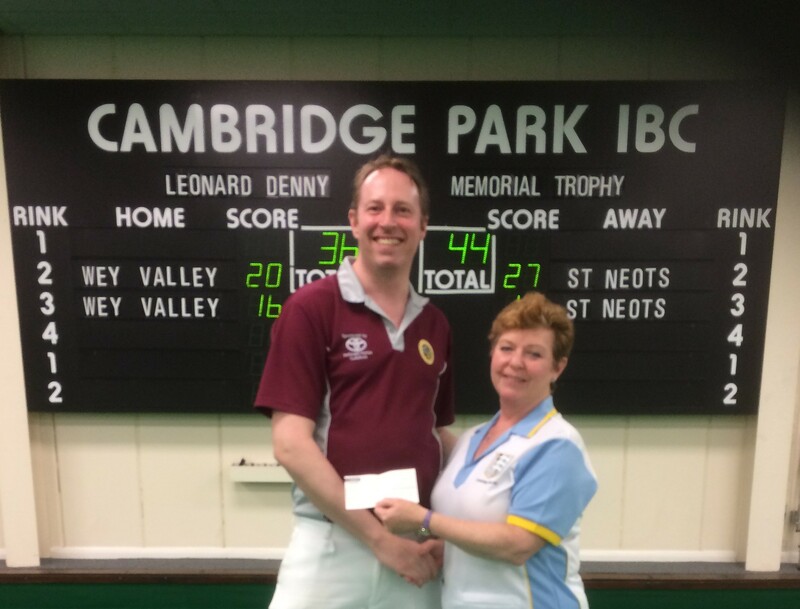 Leonard Denny Memorial – The Winners are St Neots & District! 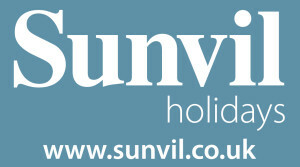 The four different semi-finalists this year – Victory, Cyphers, Wey Valley and St Neots & District played some tight matches. St Neots, Cyphers & Wey Valley all had youngsters up in Nottingham in the Under 25s, so some new team members were brought in. 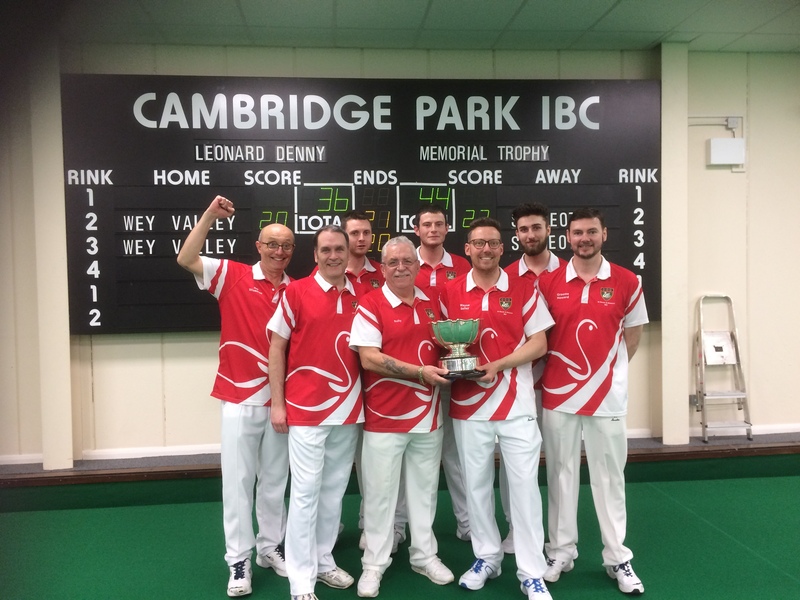 Some of the Victory team had lost at Nottingham on the Saturday and drove down very early Sunday morning to make the competition at Cambridge Park, then they had to drive back to Nottingham for the Over 60s Fours at 9.30 am on Monday morning! St Neots and Cyphers had a battle but St Neots held out as a stronger team in their semi-final battle. On the other rinks, after a hesitant start both Victory and Wey Valley had one winning rink and one losing rink and it came down to just a few shots as they went into the final ends. Wey Valley made a last dash to the finishing post in a very exciting match. After a short lunch break (thanks to Kim and team for breakfasts and lunch! ), Wey Valley and St Neots took to the green. Wey Valley made a good start on both rinks and then St Neots ‘clicked’! After that it was neck and neck all the way with often only one shot either way. The heads were exceptional and the controlled shots producing tap and lay and nudging bowls just an inch out of the way was incredible to watch! Towards the end there was a lot of shouting at the bowls as they came into the head. Funnily enough, it seemed to work for these chaps unlike the rest of us whose bowls totally ignore instructions! Wey Valley were just behind when one rink went into the 21st end and the other on 20th, then disaster struck for Wey Valley following a terrific end by the St Neots bowlers who picked up a 5. Match over. 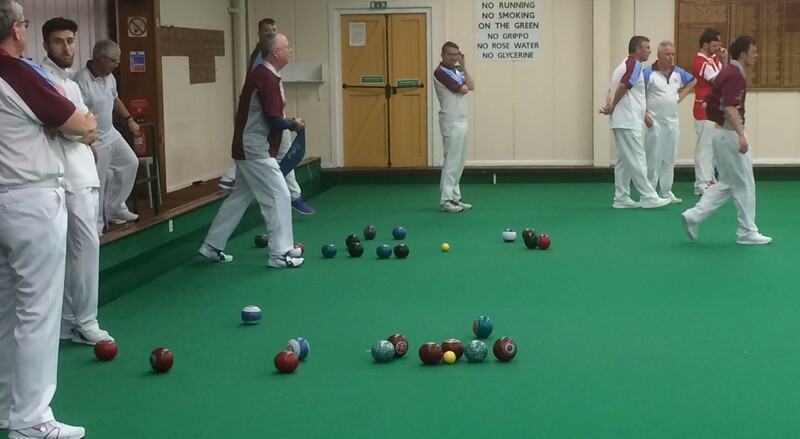 So disappointing for the runners up but bowls can be a cruel game and that final end gave St Neots the edge. St Neots under their Captain Wayne Bailey celebrate with the cup and cheque for £1,000 for their club! Well done to everyone and thank you to all the supporters and spectators, Jane and volunteers behind the bar and cake makers/eaters! A great day with excellent bowling.